MANILA (Mindanao Examiner / Oct. 23, 2011) - Senate President Pro Tempore Jose Pimentel Ejercito, Jr. said he is pushing for the passage of a bill which will provide educational benefits for the orphaned children of soldiers and policemen who died in line of duty. 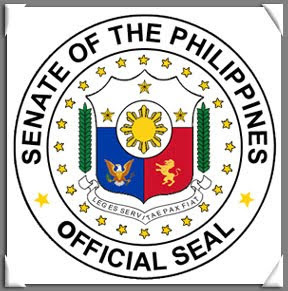 He said under Senate Bill 753, which he introduced, children of members of the Armed Forces of the Philippines and of the Philippine National Police, who are killed by insurgents or slain in the line of duty shall be entitled to benefits, which include tuition and reasonable allowance for books, school supplies, transportation, clothing and food until he or she finishes secondary education. “The death of a solider or a policeman does not only mean that the country lost one of its brave warriors and defenders. It also means the loss of a father or a mother. The tragedy continues on to his or her children, who may have to stop schooling due to the breadwinner's demise. The soldier's or policeman's poor family is pushed deeper into poverty, and this is because that gallant soldier or policeman put his life on the line for the sake of the country,” Ejercito said in the bill’s explanatory note. He said the educational benefits shall cover children whose father or mother died prior to and upon the approval of the bill. And beneficiaries, who reach the age of majority while enjoying the benefits, but have not completed their secondary education, shall continue to be entitled to the benefits until they complete the secondary education. Ejercito said such assistance is a small token the government can offer the family of patriotic agents of national defense and safety. “This is in recognition of their contribution to preserving the national integrity and security of the country. While a financial grant cannot match their priceless act of sacrifice, it intends to secure their family’s welfare even when they are gone,” Estrada said.